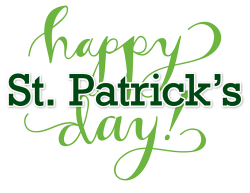 Happy St. Patrick's Day from your Stewart-Longhurst family! One hot subject that keeps coming up is data security. Knowing full well that we manage some very sensitive information of our clients, we take data security very seriously and always have. We are still reeling from the Ransomware Virus attack we were a victim of in October of 2017. Criminals were able to infect our data using an infected attachment to an email that was opened by our third-party IT specialist at the time. The virus encrypted our data, making it unusable and inaccessible. Thankfully, we were able to find an IT company in the UK that managed to decrypt the data for us. We are 100% confident that no one outside of our firm and IT specialist accessed the data. Even with the virus, we were able to maintain a secure system. Since that day, we have moved to a more reliable IT firm to store, backup, and manage our data. We now use Nuvodia, an IT firm that specializes primarily in medical and accounting data. They are well known in the IT industry and have a great reputation. We are confident with their abilities and we rest assured that the data is safe and secure. Our experience with them over the past year has exceeded our expectations. If you should have any concerns about our data security, please let us know. We welcome the conversation. Q: How do accountants save their money? 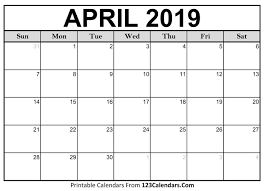 In years past you have been able to call our office to get an estimated date of when your tax return will be completed. This year, we instead ask that you log onto the Client Portal, located on our website, for any updates. We value all of our clients and want to give you the best service possible. Changing the way we do status checks will allow us to focus more on your returns & get them to you sooner. See "Client Portal" for more information. Would you like a quote on how much we would charge to do your tax return? It's Easy! 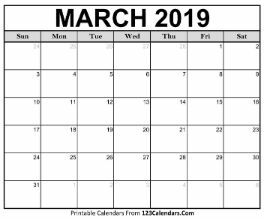 Just email a copy of the last tax return you filed, and a list of any changes to info@s-lcpa.com and Elizabeth will send you a quote within 1-2 business days. When you refer a friend or family member and they choose to have us do their tax return, we will give you 10% of their total invoice off of yours! Respond to this email or call/text 509-468-9617 with any questions. What is the Client Portal? The client portal allows our clients to see messages from those working on their return, a list of any missing information, as well as see estimated start & completion dates. How do I access the Client Portal? Go to our website s-lcpa.com and click on the "Client Login" tab. Enter your username & password. Just a reminder that a 50% retainer is due at the time of your appointment. This retainer is based off of last years return, if we did your 2017 return, or off of the quote we sent you, if you are a new client. If you would like to know the amount before you stop by the office, please call or text Elizabeth at 509-468-9617.